This is the first vignette that I have put together with my recently found Hanson Model 2060 scale. A friend of mine that owns the local "Tattered Angel" occasional shop painted the penny rug design on the faux pumpkin. I actually found this photo below on the internet and asked my friend if she could copy it on the pumpkin. I think she nailed it! A few faux gourds in a small crock, faux greenery, roosters, a scrabble sign, and a Longaberger placemat round out the new display. Oh, and a wreath on my green shutter! 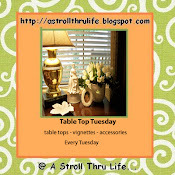 Thanks for stopping by my blog today for my new kitchen vignette. Happy Fall! What a charming vignette, Carlene! Love the scale...and your friend did a wonderful job on the painting! I love this vignette. The painted pumpkin is nice touch too. I am your newest follower. Thanks so much for stopping by Posed Perfection and leaving me a sweet comment about my fall mantle. I hope you'll visit again and maybe even follow me back. 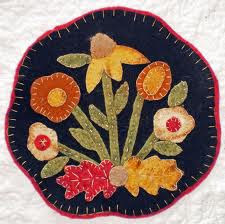 Hi Carlene, the painted pumpkin looked so much like the photo of the rug, that I thought you had used Mod Podge to attach it to it. Love it! Love the vigenette! Your friend did an excellent job painting the pumpkin! Great ideal using the pumpkin on the scale. And what a wonderful job she she did recreating it. Thanks for visiting. Beautiful vignette! I love the pumpkin! Carlene, you fall vignette is absolutely gorgeous!! 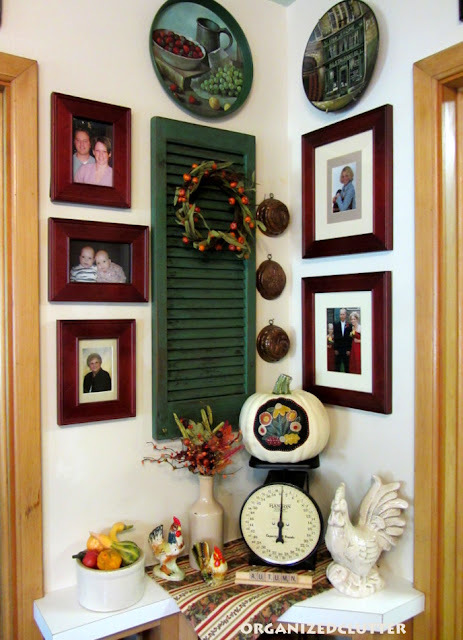 I love that you used roosters and the crock of gourds. Very cute. Your friend did a great job on the pumpkin and I love the scale! Hi Carlene! This is my first time to your blog, and I really like it! Your home looks so warm and cozy. This fall vignette is too adorable! I love the painted pumpkin so much, and I adore the shutter on the wall! WoW, the pumpkin is awesome! Always enjoy seeing what's new in your little corner! I'll say she nailed it...just perfect...and so cute. AND, I am loving your green shutter. 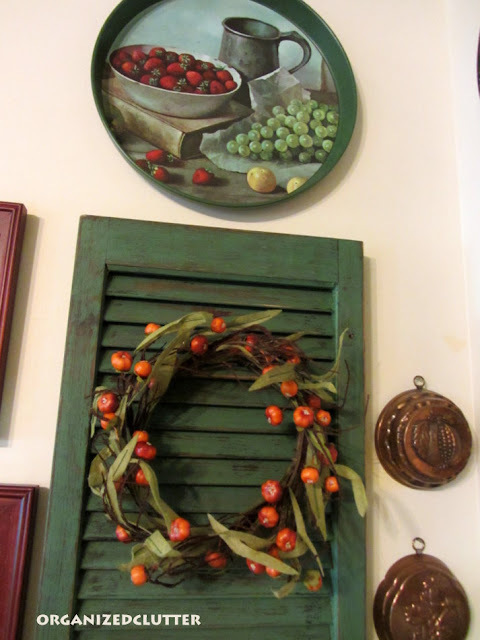 Don't you just love shutters? Meee, too. Hi Carlene! Oh, that is the cutest pumpkin I've ever seen! You've created a charming vignette. I love your scale and I've been on the look out for one for some time. I'll find me one! I'm back as I forgot to answer your questions. The pattern of my Rooster dishes is Weather Vane and they're by Knowles. They're probably 1950ish. Great vignette and the pumpkins is so cute. Thanks. I love this corner it is done so nicely. I love the scale and that pumpkin is great! Love the whole thing and the accessories. 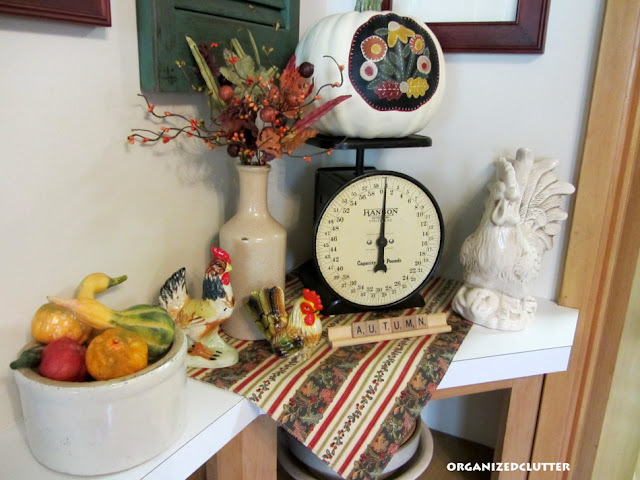 What a wonderful fall vignette! Great idea with the pumpkin! What a warm and inviting Autumn vignette! Your friend did a beautiful job on the pumpkin! Love the display. The scale is beautiful. I have two that the face is rusted in spots. Wish I knew a way to restore them. Just a little too shabby. 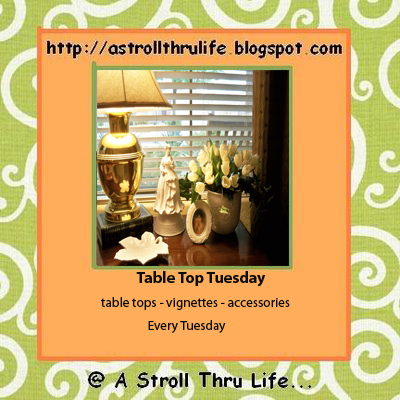 Thanks for stopping by Timeless Treasures and leaving a nice comment. Oh, what a cute pumpkin!!! And I love your scale. I've been looking for one of those myself. Cute vignette all around. I've been trying to put it off for a few more weeks, but seeing your darling vignette.. it inspires me. 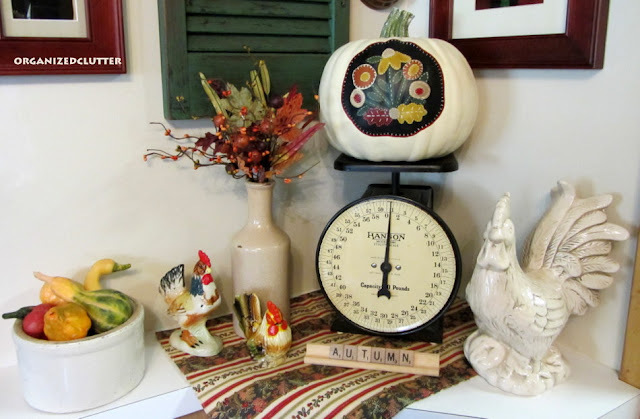 Couldn't love that old scale, and pumpkin any more! Wow, I guess your friend did "nail" that one -- it's absolutely perfect, & I adore it on your pumpkin! 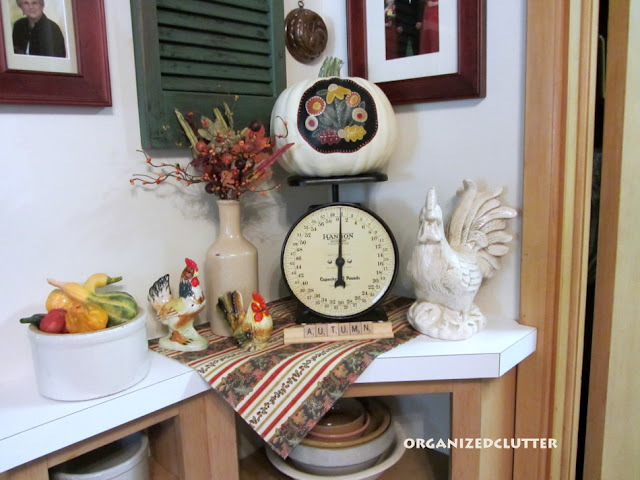 The scale is awesome & is such a great center-piece for your vignette. Happy Fall! Great little corner to decorate for fall! 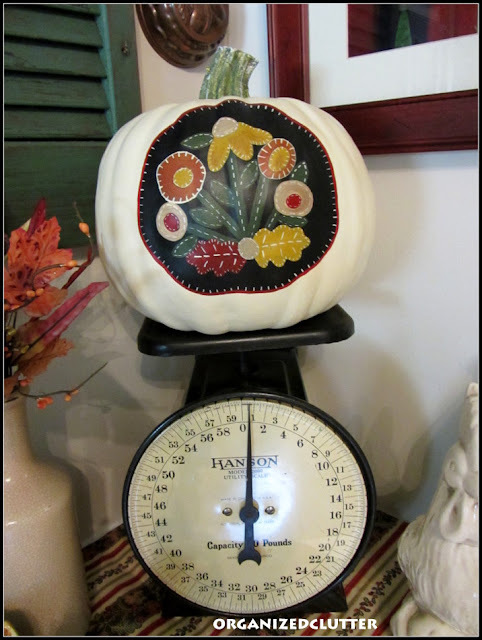 Love all your vintage items and your painted pumpkin is the icing on the cake! Very pretty! 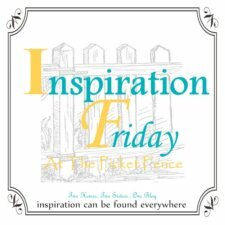 I love that fall is here...I hope you'll stop by and link up to my Wickedly Creative Halloween Ideas Party!